At the School Committee meetings, the Superintendent’s Report includes information about important topics across the district. A detailed description and timeline of the Pool Repair/Construction project from Alan Hall, Director of Facilities and Wendy Pierce, Aquatics Director. Many questions that have been raised in the community are answered in their report. The 20 minute video is here. The remainder of the Report of the Superintendent is here. The video starts with a discussion about the Budget Process – timeline and meeting dates, as well as an announcement about a SC workshop on Saturday, December 13th. 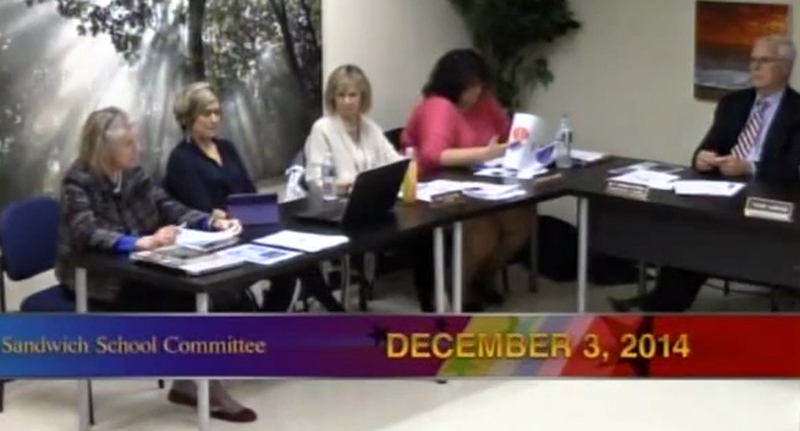 @ 5:57 – Trish Hill and Marc Smith discussed the progress being made by the Reorganization Planning Team at each school. Mr. Smith shared a decision about the location of the kindergarten classes in the school next year that was informed by an “experiment” and in consultation with the Sandwich Fire Department. Many Thanks to Sandwich Community Television for making these videos clips available to share on Sandwich Learns Together. You can watch the School Committee Meetings live on Channel 14, or on video here.